ZEIT Now is a cloud platform to deploy serverless applications, one of the things I like the most about Now is their DX (Developer Experience), it makes it very pleasant to deploy microservices to the cloud. In this article we are going to learn how to install Now and start deploying with one single command, now. 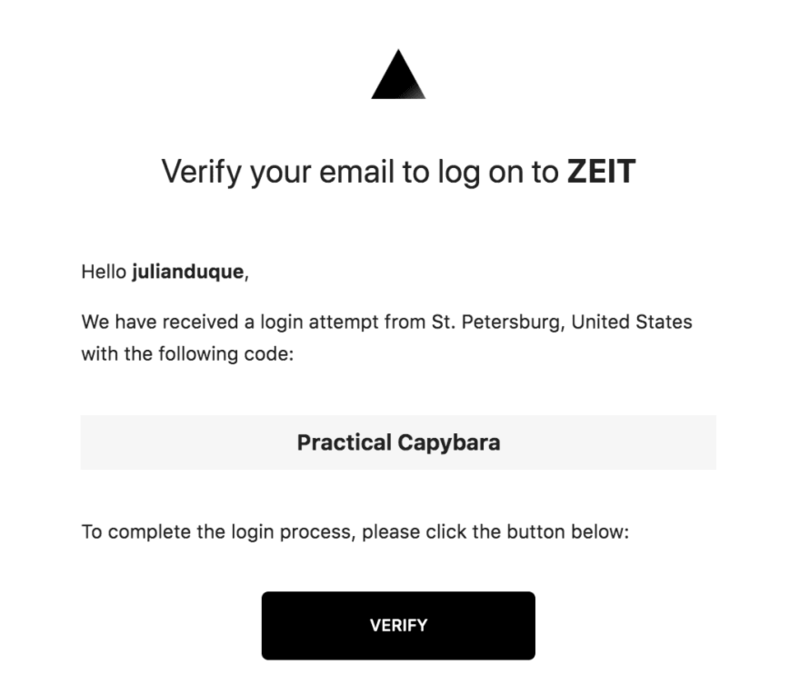 This will ask for your email and will send you a Verification email, just by clicking on Verify will log you in the platform, it’s like magic 🔮! We are ready to start creating our first microservice (or serverless application, you name it). 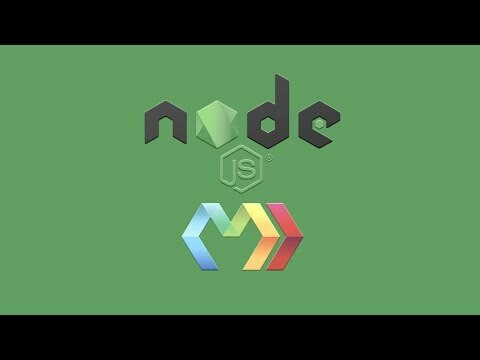 This will create a folder called microservice with the Node.js template. Now is time to deploy our example to the cloud, let’s go to that folder and execute now to see what happens! 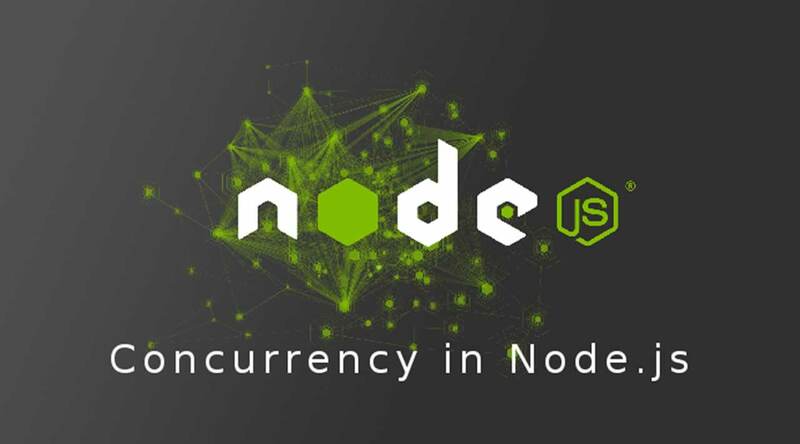 It contains a simple function with the request and response objects from Node.js, this will be executed on every request made to our microservice. It’s the deployment configuration file, used to specify the name of our project, the type of builders we are going to use, routes, etc. 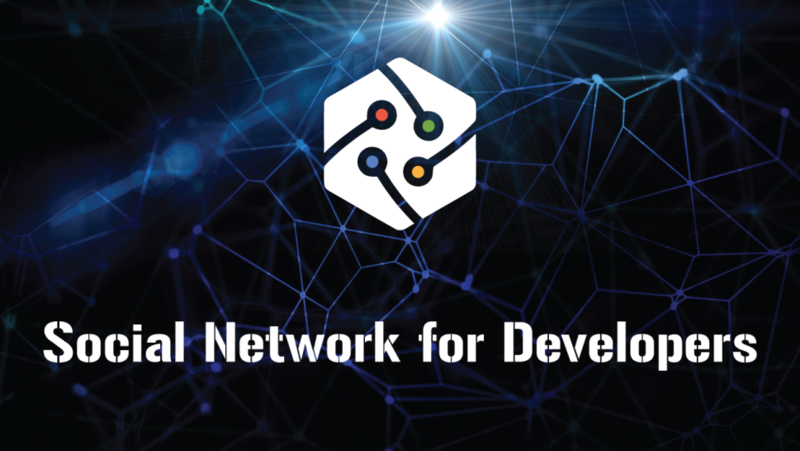 More information can be found in their documentation. What we have seen so far seems simple, but, here comes the real power of now, we can mix and match different microservices in a monorepo to create a full serverless project. 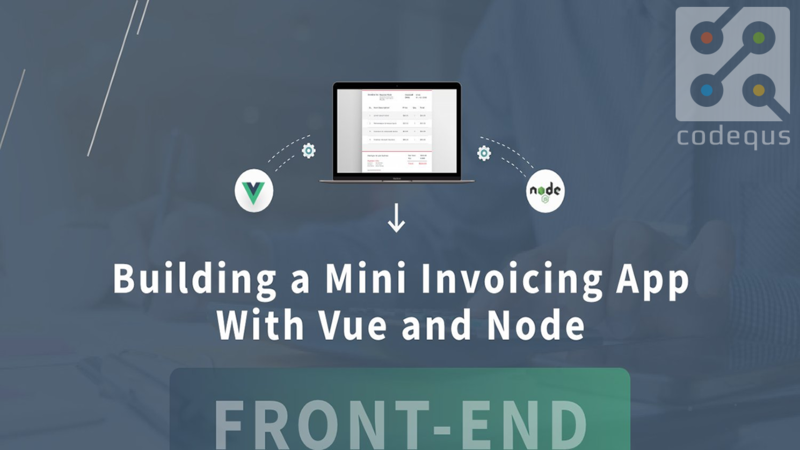 For our next trick, we will create a Nuxt.js static application that will be doing API requests to a Node.js microservice, both are going to be deployed to now using the monorepo approach. Let’s create a monorepo folder and then run create-nuxt-app, this will create a basic Nuxt.js application for you, just make sure to select Axios support in the features section, we will use it later 😉. We have our frontend application almost ready, we will need to add an API to our monorepo project, let’s create an api folder and add a Node.js microservice in there (no need to create the now.json, we will take care of that later). Let’s create a Deployment Configuration file to wire up our two project in the monorepo. More information about how routes work in their documentation. Here we are creating both the API and the Web project in one single repo using two different serverless applications, one served by @now/node and the other built by @now/static-build. 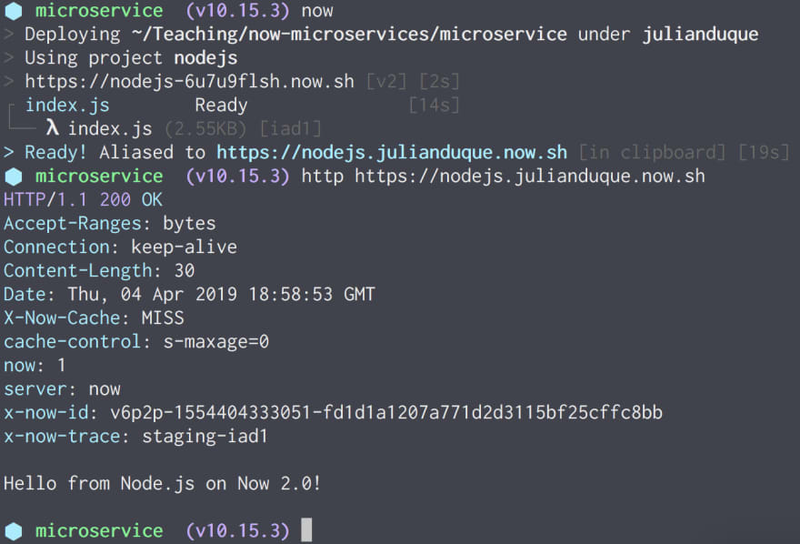 "now-build": "API_URL=https://monorepo.julianduque.now.sh npm run generate"
This will setup Axios to discover our API endpoint in the proper URL (make sure to use your alias here), and will tell now how to generate a static site for Nuxt. And voila! We have connected our two serverless applications in one monorepo with Now!